Catholic men’s jewelry is jewelry that is unique to the Catholic community. Men can enjoy wearing the symbols of their faith on cuff links, tie tacks, men’s rings, etc. Catholic jewelry usually is found at specialty Catholic stores. 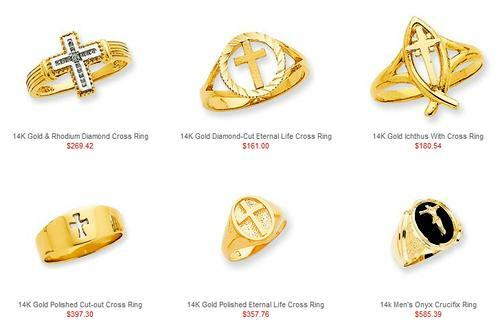 Christian stores do not have the variety of specifically Catholic jewelry that Catholic shops carry. Men’s jewelry can be of good quality but low in cost, or it can be made with gold or silver for added value. Men of faith enjoy wearing jewelry that represents them and their values. It makes a great gift for Christmas, Father’s Day or other special occasions. Cuff links are one of the most popular forms of Catholic men’s jewelry. They can feature patron saints, the Miraculous, or a cross. They may have all kinds of saying or scripture engravings. They may have other symbols like the Tau cross or Chi Rho. Cuff links are a great gift for any man that likes to dress up. They are not as popular as they once were. They do dress up the white shirt for special occasions. Cuff links are available in several different metals including gold and silver. They may be gold filled or gold plated to decrease the cost a bit. Tie tacks are another very popular masculine gift. They are used more than cuff links but have the same effect of dressing up the plain tie and white shirt. These are also available in different emblems and engraved words. There are patron saint medal tie tacks and cross tie tacks. There are Holy Trinity tie tacks and guardian angels. Ichthus tie tacks are popular as well. There is a large assortment of designs for tie tacks because they are so popular. Just about every man appreciates a good tie tack; they make great Catholic men’s jewelry gifts. 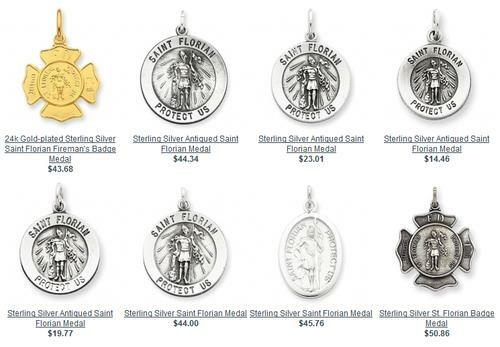 Other Catholic men’s jewelry includes patron saint medals, rings, pendant necklaces, etc. An especially nice piece of jewelry for military men is the military medal. It has an emblem for a branch of the military on one side and either St. Michael or St. Christopher on the other side. Mizpahs are nice for military couples to keep each other near while they are separated. Pendants and other medals are made for both men and women. But men’s pendants are generally larger. They feature patron saints or the Miraculous. Sometimes pendants and rings are engraved with scripture or faithful sayings.